Students in Wellesley, Massachusetts, walked out of school Tuesday calling for change. Nearly 300 high school students in Wellesley, Massachusetts, walked off campus Tuesday, advocating for improved race relations in the community's schools. Many minority students say they've felt various forms of racism routinely over multiple years in the school system. The walkout was inspired in large part by a Wellesley High School teacher receiving a racist email. The letter is now under investigation by school officials. It's undetermined if a parent or student wrote the letter. The teacher, who wishes to remain anonymous, states the letter attacked her character and teaching ability. The school's principal, Dr. Jamie Chisum, said none of his teachers should be subjected to that type of treatment. 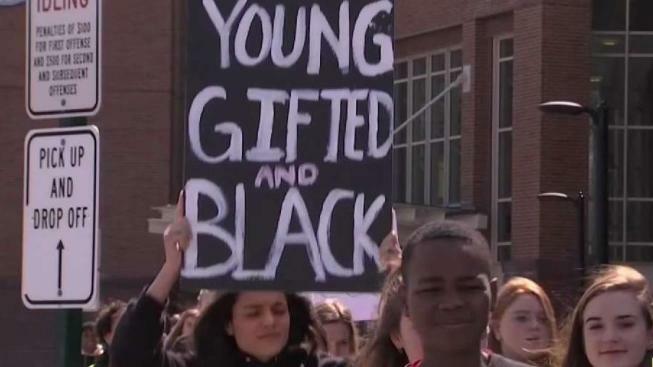 Students who have formed an organization called "Young Educated Scholars" tell NBC10 Boston they now plan to address their concerns with the superintendent.